Upper North Haven is a fantastic location, home to gorgeous parks and connected to major roadways. Nose Hill Park runs along the western border of the community, while Egerts Park runs along the east. Between these two parks, Upper North Haven real estate owners always have easy access to recreational entertainment. Shopping, restaurants, golf courses, and schools are also nearby. Explore homes for sale or learn more about the Upper North Haven real estate community below! Upper North Haven real estate is comprised of high-quality homes in a fantastic location, making it perfect for individuals and families alike. The vast majority of Upper North Haven homes are single-family dwellings, most of which were built in the 1960s. With prices that tend to fall within the mid-range, Upper North Haven homes attract both first-time and experienced buyers. Although all age groups are welcome within the community, it tends to be popular with homeowners in their final working and early retirement years. Upper North Haven was originally established in 1963, and was part of the Greenview/Thorncliffe region until the early 1990s. 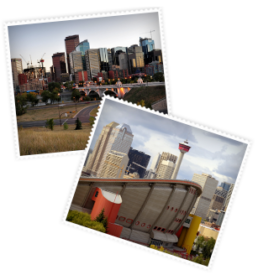 When the three communities split, Upper North Haven became a separate neighbourhood and continued to be one of Calgary’s most popular areas. In addition to the prominent Nose Hill Park and Egrets Park, North Haven also has an off-leash park in the southwestern portion of the community that’s well loved by both dogs and humans. There are no schools within the Upper North Haven boundaries, though numerous options are available in surrounding communities. Lower North Haven is home to its namesake elementary school, which provides younger students with an education close to home. Kevin Niefer & team can connect you with the best Upper North Haven homes for sale. Register with our site or call 403-968-1496 to find out more about this fantastic Calgary community!